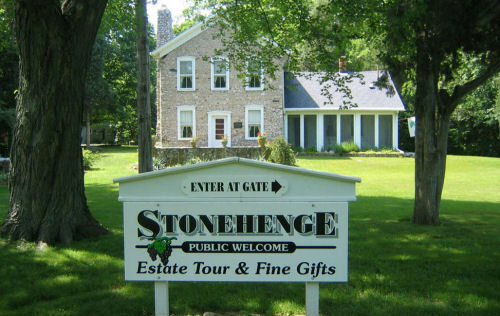 Stonhenge on Put in Bay is nicely situated on seven acres of woods and inviting landscaped grounds, the Stonehenge Estate illlustrates examples of island life from the 1800's through present day living. A continued family preservation project, the wine making tradition that enriched the area in the mid 1800's is on clear display here. The Stone Farmhouse and Wine Press Cottage are both listed on the National Register of Historic Places and can be toured during the summer months.